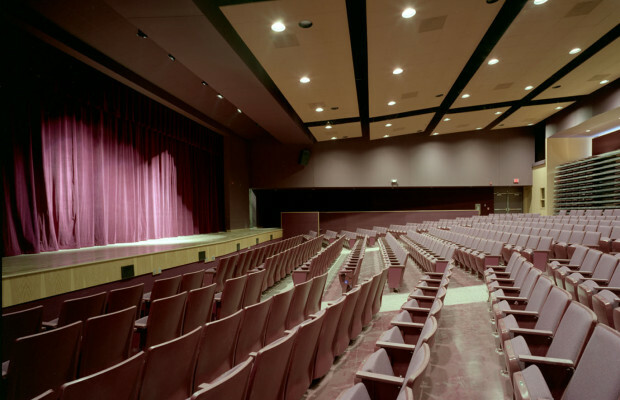 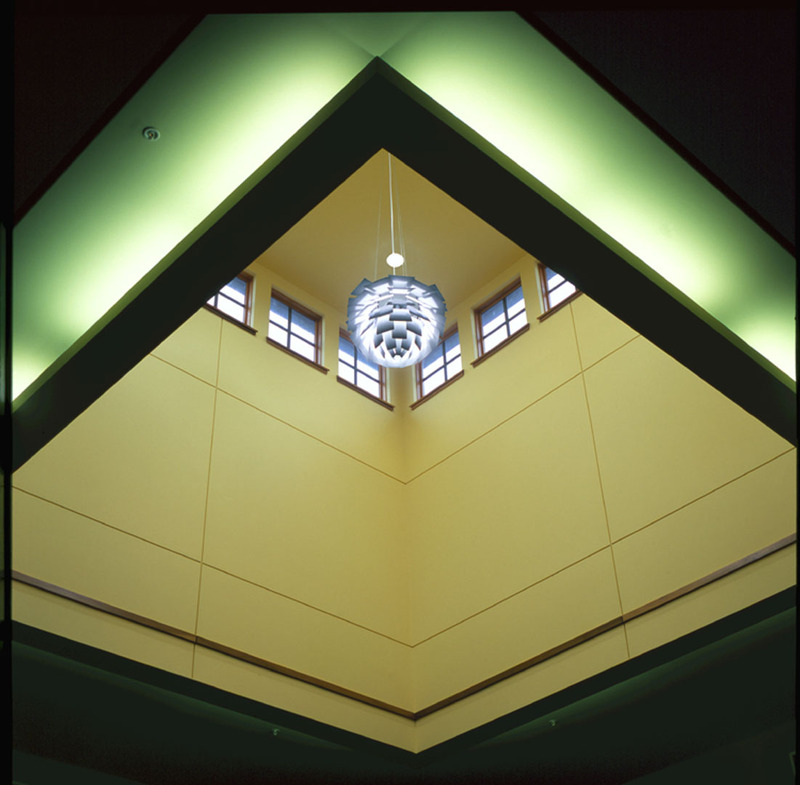 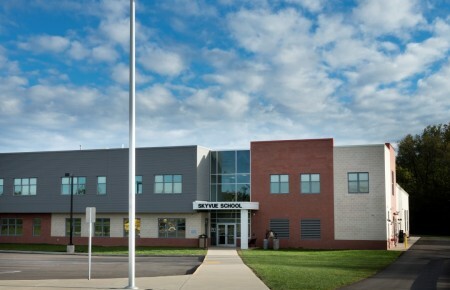 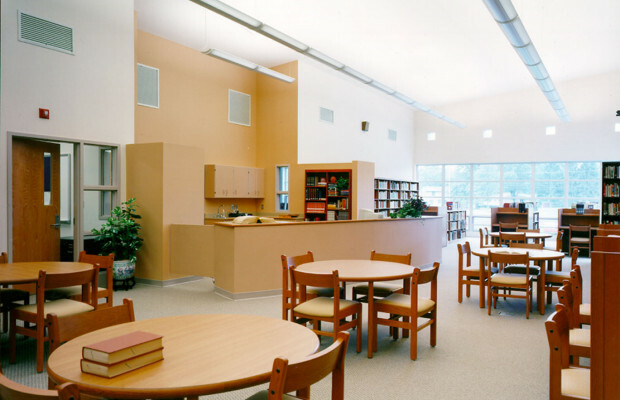 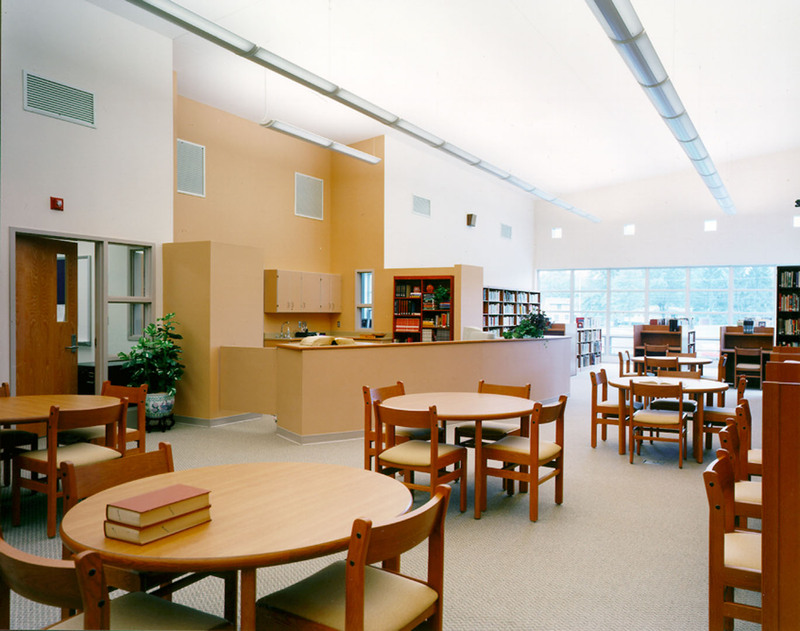 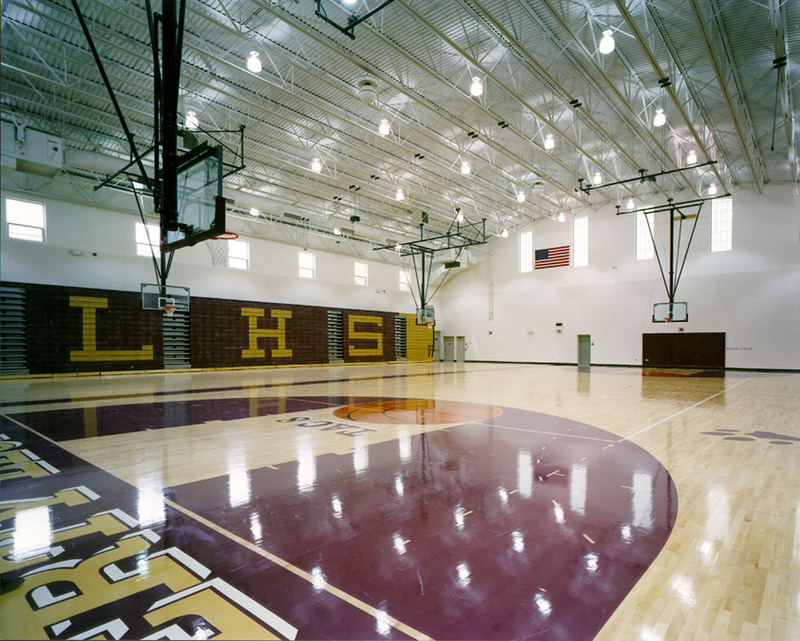 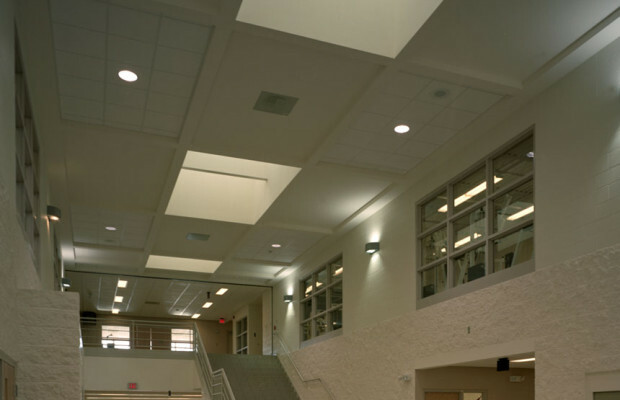 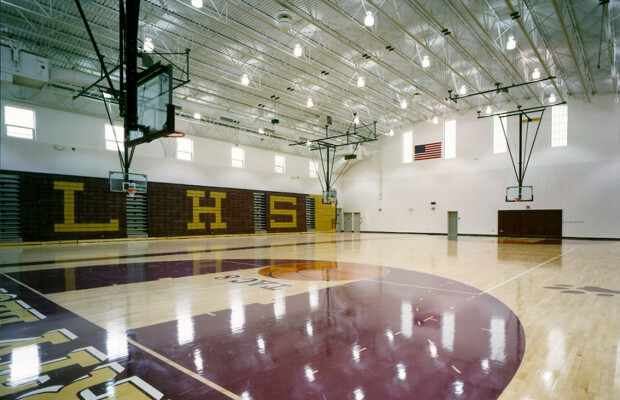 Liberty High School | BSHM Architects, Inc.
Liberty High School contains 115,000 square feet for 800 students. 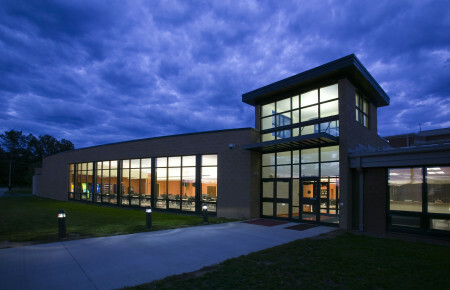 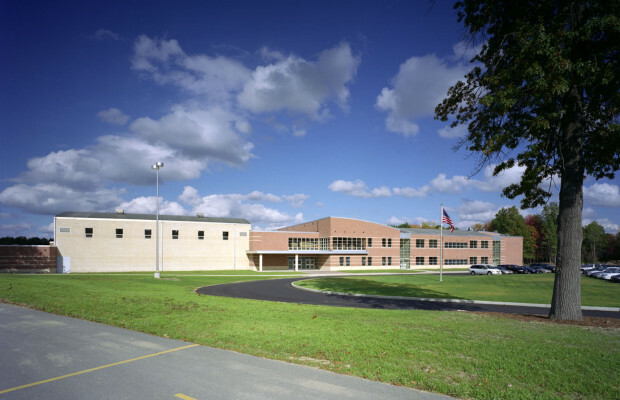 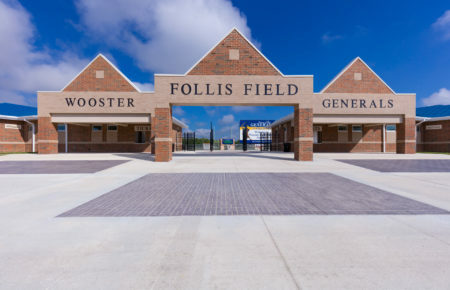 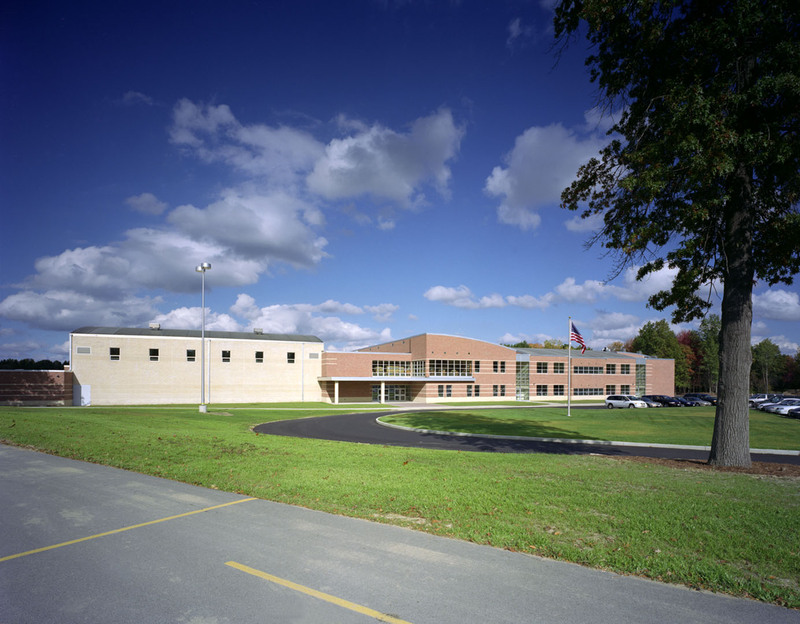 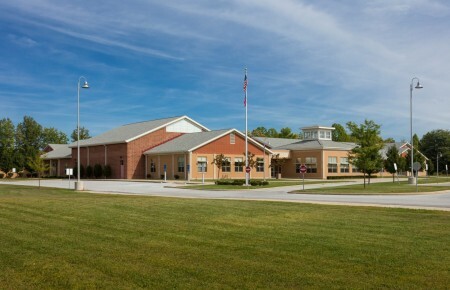 The floor plan joins a two-story academic wing with one-story sections containing administration, physical education, auditorium/fine arts and commons/food service. 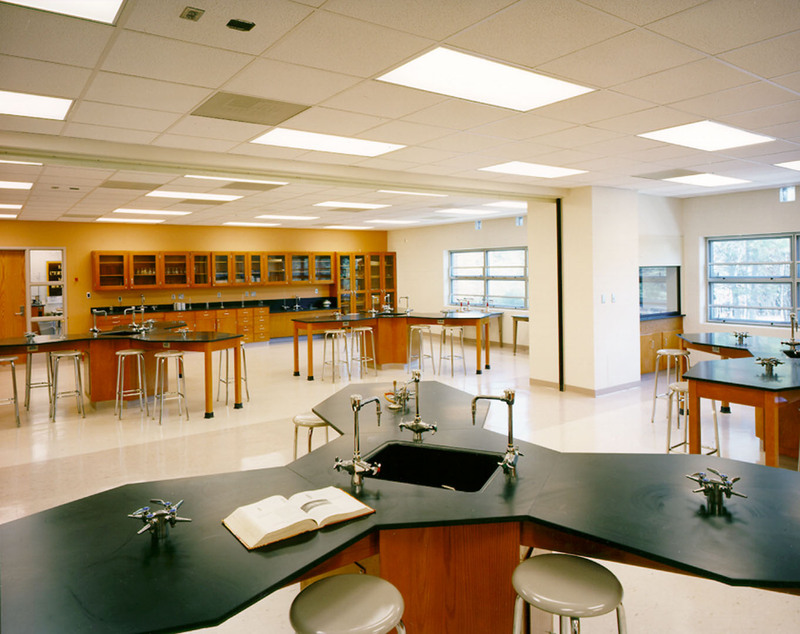 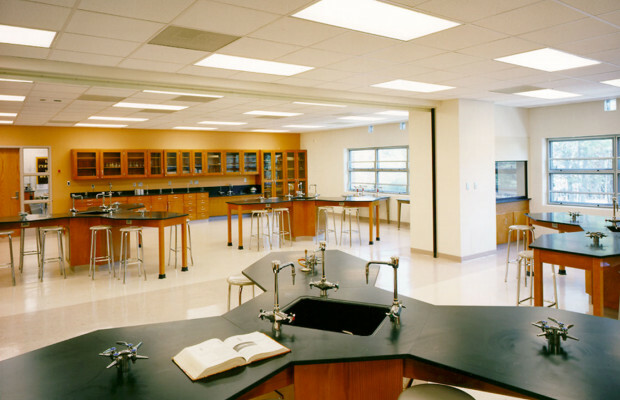 Similarly designed academic and science classrooms are divided into flexible suites, each containing a faculty core area. 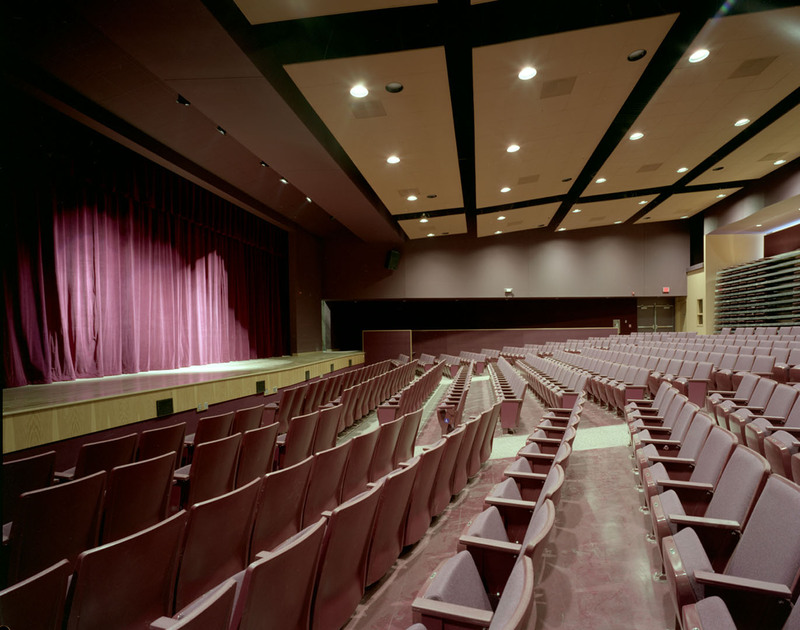 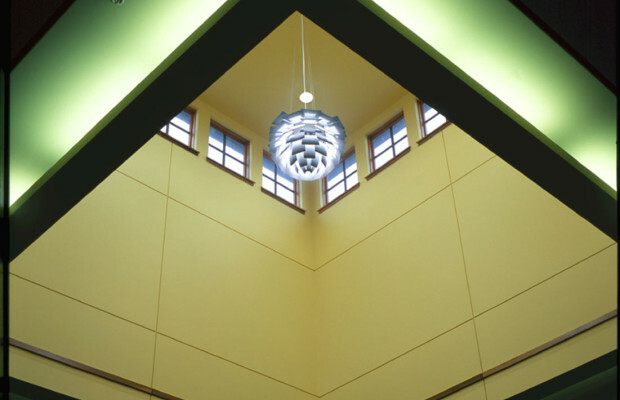 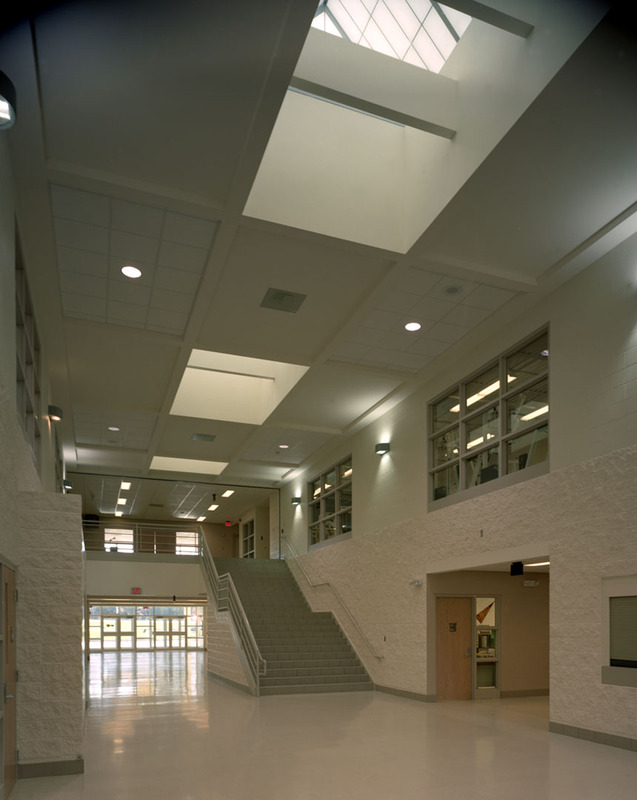 A large sky-lit lobby separates the athletic/auditorium, fine arts sections from academic suites, which are closed off during public functions.